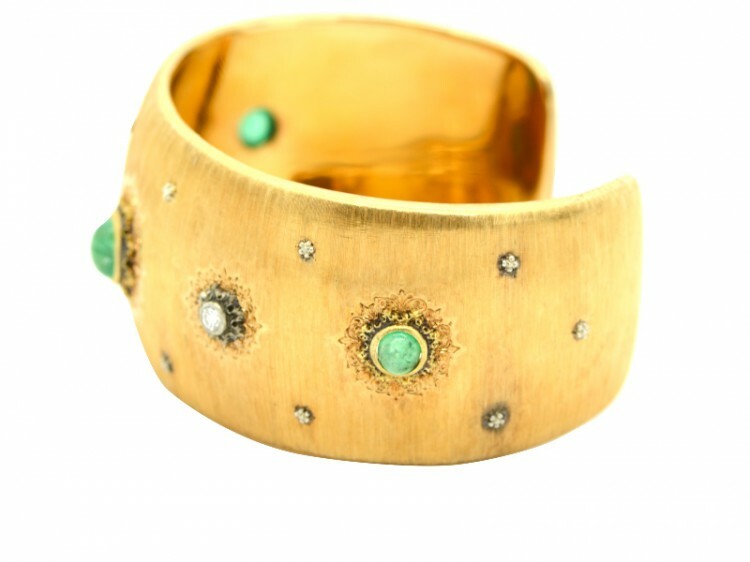 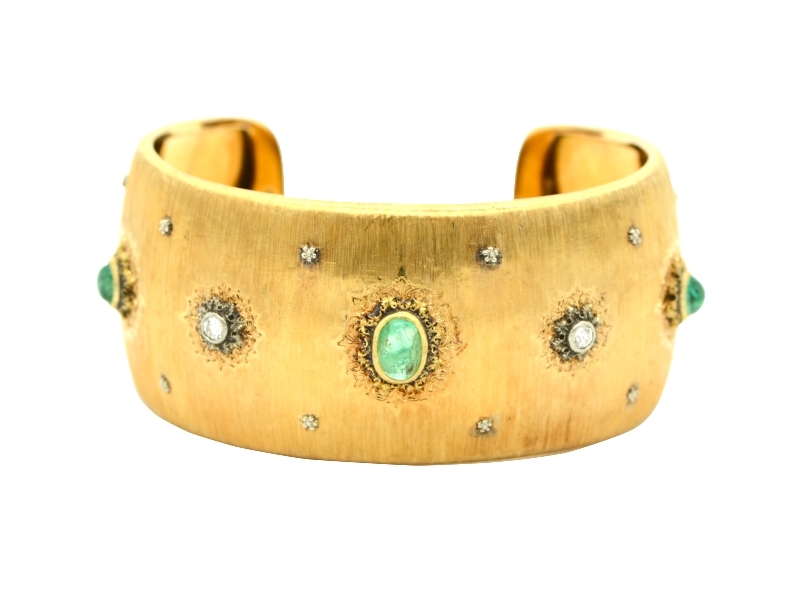 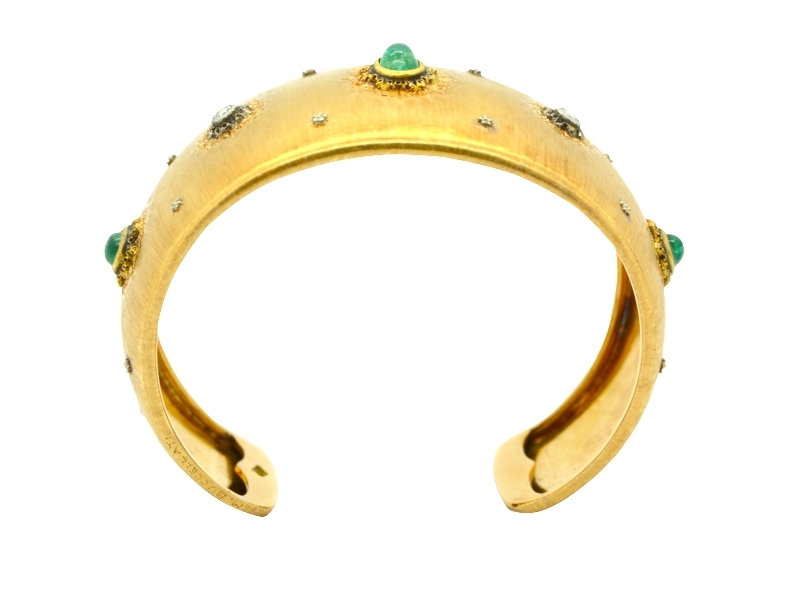 A beautiful M. Buccellati yellow gold bracelet, 37.90 total grams, set with diamonds and emeralds. 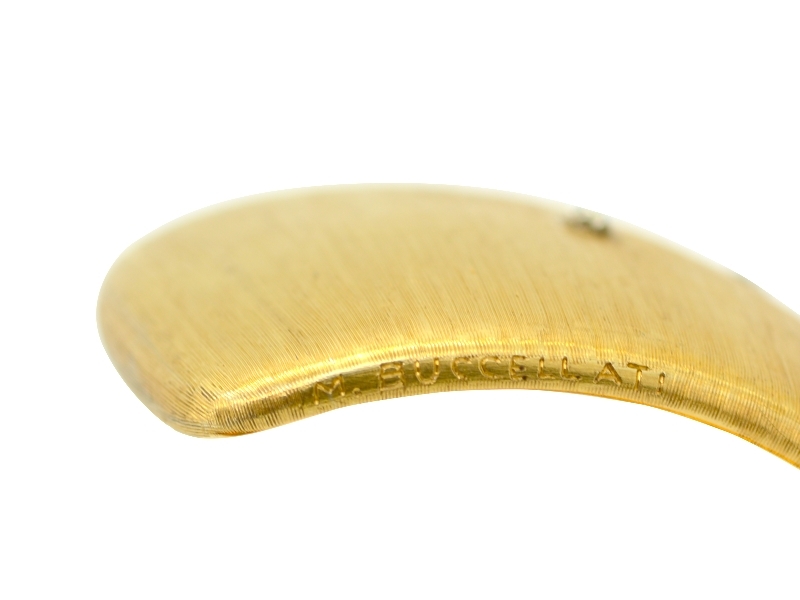 Width approximately cm 3.00. 1980s.